This entry was posted in Films, Home movie on June 26, 2015 by admin. At Cine2DVD we don’t just work tirelessly to help you and yours transfer Super8 to DVD; we live for films in all formats – including the cinema. But before we go on any further, we have to tell you that the following blog will contain spoilers to some of the greatest films to grace the big screen. This entry was posted in Films on June 23, 2015 by admin. Ah, the movies; one of the most popular forms of entertainment of the century. With amazing special effects and gripping storylines, it’s easy to forget that these plots aren’t actually real sometimes. Film makers can seem like magicians, but even they had to begin somewhere. What better place to start than creating videos at home? Believe it or not, Academy Award winning animator Nick Park began his creative career by creating home videos. Join us as we take a deeper look at how his early exposure to creating homemade films helped him achieve his massive success. Nick Park was born in Preston, Lancashire in 1958. From an early age, he was interested in drawing comics and adopted his father’s habit of collecting items and spare parts from around his neighbourhood. This collection of items would come in handy when Nick began to create his own stop motion films at home; using his mother’s 8mm camera and items from her dressmaking kit to create props, characters and sets for his animated shorts. By the age of 13, he had finished his first animated short, which was entitled Walter the Rat. At 15 he had created another short named Archie’s Concrete Nightmare which he had submitted to a BBC young animator film competition. The short didn’t win, but it did air on national TV on BBC2. Nick then went on to study at Sheffield City Polytechnic where he studied art, and followed this up by attending the National Film and Television School where he began creating his first film, the famous Wallace and Gromit short, A Grand Day Out. The unfinished film soon caught the eyes of Peter Lord and David Sproxton, animators at the highly acclaimed Aardman Animation studio. They were so impressed with Nick’s work that they hired him in 1985. Initially, Nick didn’t have a huge role at Aardman Animations; contributing to commercials and working alongside his colleagues on Peter Gabriel’s award winning Sledgehammer music video. However, following the success of his first Wallace and Gromit installation, Nick followed A Grand Day Out with The Wrong Trousers and A Close Shave. With the additional success of his animated short Creature Comforts , Nick had securely cemented himself in the animation industry, and was quickly rising to fame for the work that he was producing. After catching the elusive eye of Hollywood, Nick and Peter Lord co-directed the first Aardman feature length film Chicken Run, which was distributed by DreamWorks Studios. After co-producing a feature length Wallace and Gromit adventure, The Curse of the Were-Rabbit in 2005 which was also distributed by DreamWorks, Aardman and their famous distributor ended their association due to creative differences. Nick’s initial introduction to creating homemade films had given him the skill set and experience to create movies at an early age. This experience is essential and without it, he may not have been as successful as he is today. The most important thing to note is that he created these initial shorts through his own interest and determination, with no pressure of an industry to deter him. Nick is an excellent example of what can be achieved through perseverance and a genuine interest in film making. Who knows what some of your own home videos can help you achieve? At Cine2DVD Transfers, we can help you transform your home movies onto a digital format, so that you can easily view them any time you desire. We specialise in the transfer of 8mm Cine Film to DVD, so don’t delay in letting the world see your masterpieces. Who knows, you may become the next Nick Park! Interesting right? If you would like more information, contact us by calling 0800 592433 today and see how Cine2DVD Transfers can help you! This entry was posted in Films, Home movie on June 8, 2015 by admin. 10 Years of YouTube – What Makes a Viral Video? YouTube recently celebrated its tenth anniversary, with over 300 hours of video uploaded to the site every minute. 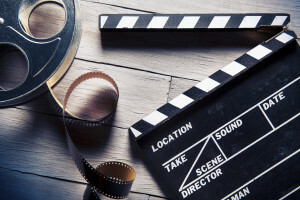 The video sharing site has completely transformed the way people think about video, and has brought home movies back to the forefront of the media, and the digital revolution seems to be stronger than ever before. YouTube is one of the most interesting, lively and vibrant places to be on the internet, and now a video can go viral within minutes. But what is a viral video, and how exactly do you make one? Here we are going to take a look at just some of the components that make a viral video, and how you could go about making your own. A viral video is a video that has become suddenly very popular through the process of internet sharing, which nowadays is typically done via social media, video sharing websites and instant messaging tools. Viral videos often feature something in particular that attracts huge amounts of people to go and watch them, such as humorous or particularly strange content. The internet is also known for being obsessed with all things cute, particularly cats, dogs and babies – all of which have contributed to videos going viral. There are countless animal videos that have gone viral, but this is definitely one of the best. This five second video features a little furry creature, assumed to be a chipmunk by the title, turn around to very dramatic music. Although it is very simplistic, this video can easily make you laugh. To date, it has been viewed over 43 million times, and no matter how many times you watch it, it will always make you smile. Why? We’re not quite sure. This video was absolutely huge when it was released on YouTube in 2011, and has been parodied hundreds of times both on and off the internet. It features two twins having a conversation in baby talk in its purest, cutest and most hilarious form, with the original ‘Part 1’ video achieving over 18 million views. The baby factor certainly plays a significant role in videos becoming viral, and typically these videos are simple, un-staged cuteness, such as ‘Mommy’s nose is scary’ and ‘baby laughing at ripping paper’. Perhaps these are the home movies of the future? If you’ve spent a significant amount of time surfing on YouTube, chances are you have seen or at least heard of Chocolate Rain. Chocolate Rain is the title given to a song performed by Tay Zonday in 2007, and its surprise and humour made it a major viral video. As a boy, Zonday approaches the microphone to begin singing, but his voice isn’t exactly what you’d expect. This incredibly funny video has had over 102 million views to date, and continues to be viewed on a daily basis. Never underestimate the power of the cat on the internet. Although you may not be able to explain why you’re obsessed with watching cat videos online, you have to just come out and admit it – we all love them. There are countless viral cat videos to choose from on YouTube, so we’ve selected one of the best; Nyan Cat. No one can explain why they love watching this animated cat riding on a rainbow through space, but we just do. In fact, this video – which has received over 121 million views to date – has been so popular it has even been turned into an online game. It was the first video to break the YouTube view counter, and if you haven’t seen or heard of PSY’s Gangnam Style, you were probably living under a rock. Released in summer 2012, the music video by Korean singer PSY instantly went viral – we can only assume for its rather strange scenes and catchy tune. To date, this video has been viewed over two billion times on YouTube, and we’re sure you won’t be able to resist watching it one more time. 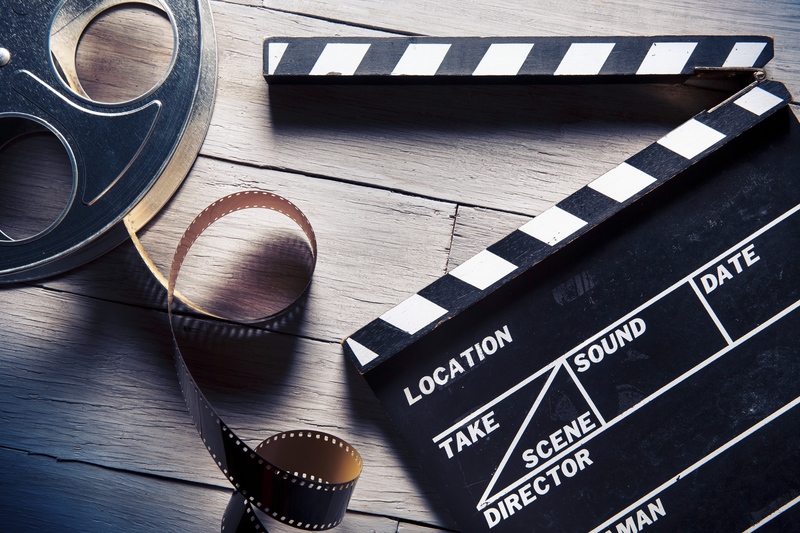 Viral videos are great fun, but making your own videos is even better, and here at Cine2DVD Transfers, we can help you to have all of your home movies on hand to watch any time you want. We specialise in the transfer of Super8 to DVD and digital, so if you want to watch more of your own movies, contact us today on 0800 592433. This entry was posted in Home movie on June 1, 2015 by admin.